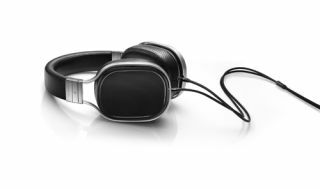 Oppo launches PM-1 planar magnetic headphones | What Hi-Fi? Oppo has launched the PM-1 planar magnetic headphones. They cost £1099, and promise audiophile performance and luxurious comfort. The proprietary planar magnetic drive units feature a seven-layer diaphragm and high-energy neodymium magnet system. The diaphragm has a spiralling pattern of flat conductors on both sides. The pattern and number of conductors in the magnetic field is supposed to yield greater drive force and higher sensitivity. This higher sensitivity, combined with a low weight of 395g, allows the headphones to be used on the go with portable devices and no additional amplification. As for the body, Oppo has used hand-picked lambskin leather on the headband and ear cups, although they ship with alternative pads in velour. The cushioning is made of natural latex (instead of foam) for better ventilation and comfort, and for the acoustic properties. Metal parts are highly polished for a luxurious finish. There are two detachable cables. The one for home use measures 2.5m, with fabric-wrapped OCC copper and a 6.35mm jack. You also get a shorter one for listening on the go with a 3.5mm plug and OFC copper. After the PM-1s, Oppo intends to launch the PM-2s, the (more) affordable version. They will have the same drive units as the PM1, with fewer luxuries. Lambskin leather will be substituted with synthetic leather. Instead of some aluminium parts, there will be plastic. There also won't be a shiny wooden box or alternative velour ear pads, although these will be available separately. The PM-2s will launch in June 2014 for £699. Oppo has also teased the HA-1, a dedicated headphone amplifier, although we were told it's not quite been finalised. There's no set pricing yet, but it is meant to launch in May 2014. We'll be squeezing them for more information shortly.